You’ve heard me talk a lot about my daughters, Ashley Elaine Calloway and Alexandra Marie Calloway. Since they are both home for our traditional Calloway Family Thanksgiving celebration, I thought this would be a good time to let them tell you a little more about themselves on my That’s So Very Vanessa! 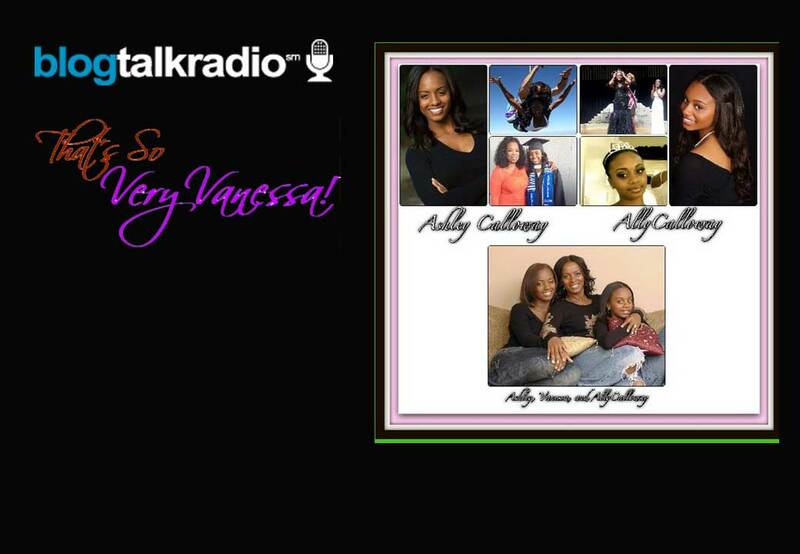 BlogTalk Radio Show!